Hello Friends, I hope you have been well. I do apologize for being super scarce of lately. I have actually been half way around the globe to visit family in my home country – with stories to tell about being stranded at the airport – and now back Stateside. I worked a lot to make sure things were turned in before I left town, and I continue to work a lot upon my return catching up on things, and more. But all is well — so often, it’s just a matter of perspective when it comes to stressful and happening times in life! 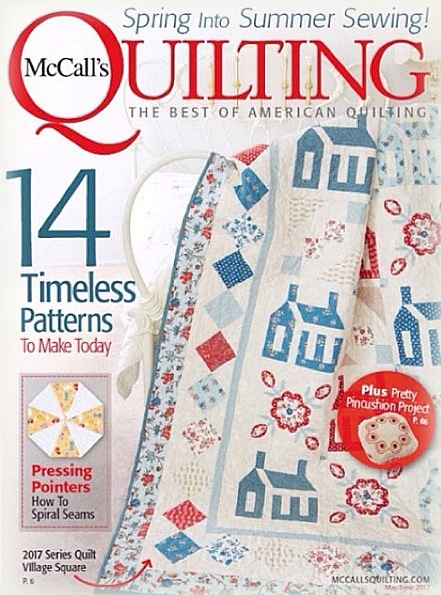 If you remember from my posts a few weeks ago, my Village Square made cover of McCall’s Quilting May/June 2017 issue. 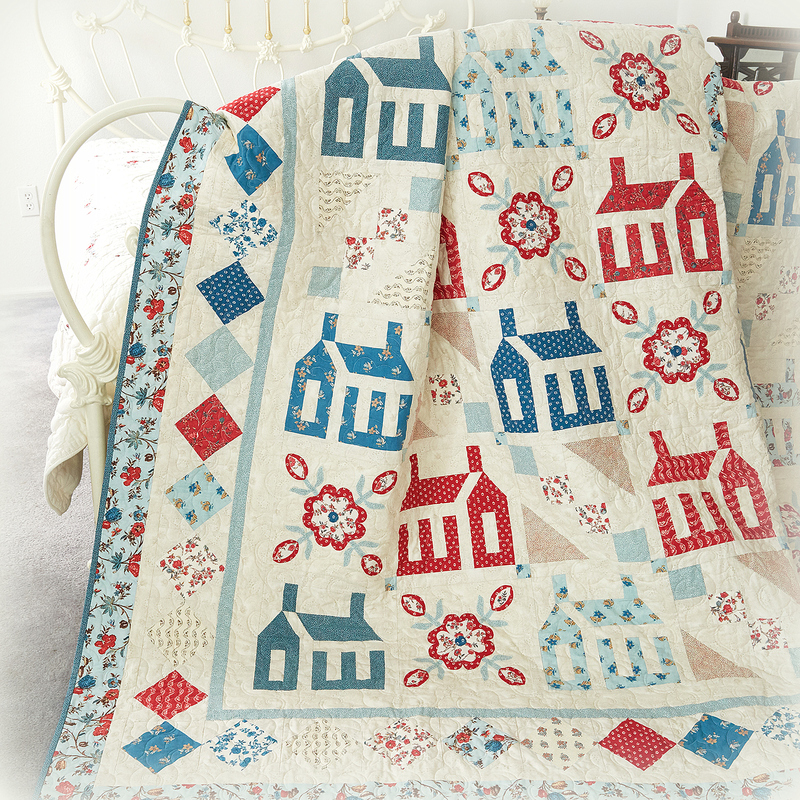 Village Square is also the chosen series quilt featured by McCall’s Quilting for 2017. Today, on McCall’s Quilting’s blog (click here), I am sharing with you the thought process that went into the design of this 94″ x 94″ using many familiar and simple quilting elements. Leave a comment there for another chance to win a Hamilton Fat Quarter Bundle!! And I leave you with today’s deep “quilty” thought: A quilt is like a literary work and the quilter is the author. So much is conveyed in the story presented by a quilt! My quilting friends, you aren’t just making a quilt, you are writing a book for all to read (albeit in a different format)! And with that, I hope to see your version of my Village Square quilt if you aren’t using the fabrics I have chosen for the design. County Fair made it in too! Kits are available for purchase here. I am not going to say too much about this quilt — because I am sharing about it on McCall’s Quilting’s blog today. 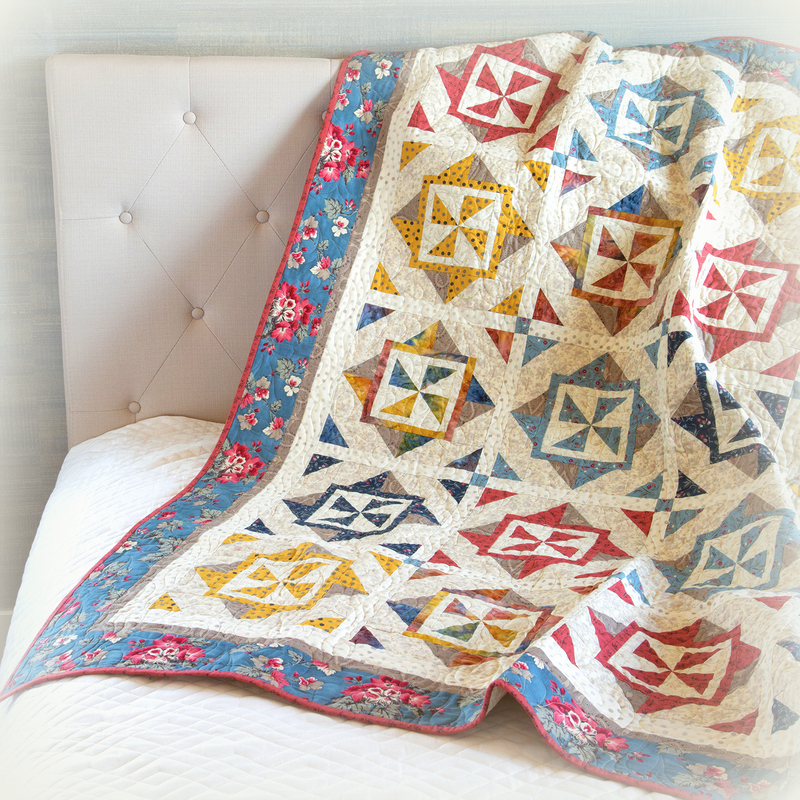 Click here to read about the quilt, AND a chance to win a copy of my Creative New Quilts and Projects book! That’s all for now. Tootles and take care!